A probe by a CBC filmmaker and the brother of one of two African-American men slain in 1964 has led to a Mississippi man being charged in connection with the race killings. A U.S. grand jury has charged a former sheriff's deputyin the 42-year-oldslayings of two African-American men in Mississippi, law enforcement officials said Wednesday, after a CBC documentary filmmaker and his subject brought the coldcase back to life. 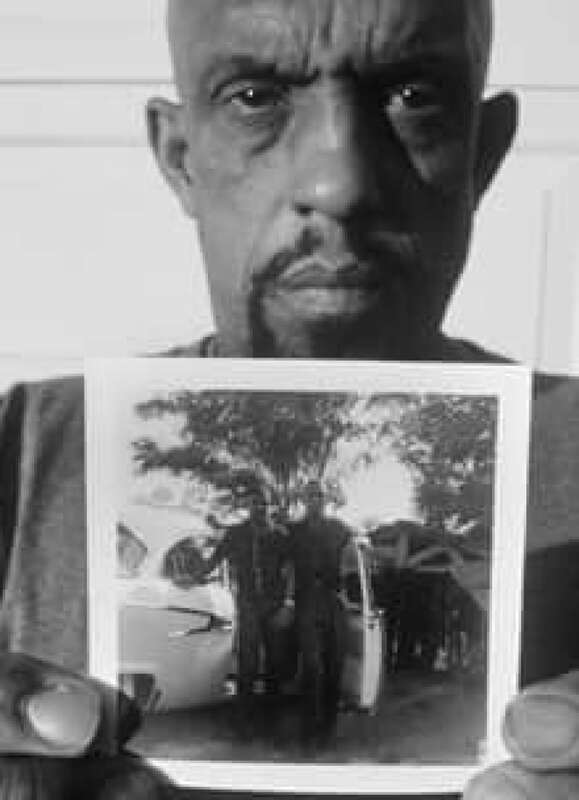 Thomas Moore, shown in 2005, holds a photograph of himself, right, and his younger brother Charles, who was tortured and killed in Mississippi in 1964. ((David Ridgen/CBC))Duringthe filming process, the CBC's David Ridgen andthe brotherof one of the victimsdiscovered that one of the two primesuspects — a known member of the Ku Klux Klan initially reported as dead — was still alive. James Ford Seale of Roxie, Miss., was taken into custody by U.S. marshals on Wednesday afternoon, facingcharges in the kidnapping and slaying of Charles Eddie Moore and Henry Hezekiah Dee. The 71-year-old was being held in the Madison County jail pending an arraignment hearing expected for Thursday. Moore's brother, Thomas Moore, said the arrest came asthe first sign of closure in the case after so manyyears of justice being denied. Hemade seven trips to Mississippi with Ridgen during the production of the documentary. "I will never have the words to describe it. I'm just gladthat I was alive to be a part of it," Mooretold CBC.ca in a telephone interview on Wednesday. "There is no way on this earth that this would have happened if it weren't for the CBC allowing David Ridgen to go down to Mississippi." Seale was named in a federal indictment charging him in connection with the teens' disappearance and deaths, according to officials familiar with the case. The officials spoke to the Associated Press on condition of anonymity because the document was under court seal. On May 2, 1964, Moore and Dee, both 19, were picked up by the Ku Klux Klan while hitchhiking near Meadville in southwestern Mississippi. They were interrogated and tortured in a nearby forest, locked in a trunk, driven to Louisiana, chained to a Jeep motor and some train rails, and dropped alive into the Mississippi River, wherethey drowned. Theirmangled torsos were discovered more than two months later during the search for Michael Schwerner, Andrew Goodman, and James Chaney — the three civil rights workers who disappeared June 21. The case was made famous in the 1988 film Mississippi Burning. When it was discovered that the bodies were those of two black men and not those of the civil rights workers — two of whom were white — interest in the Dee and Moore case evaporated, and the press shifted its attention to the civil rights workers' deaths. Seale, then 28, and Charles Edwards, then 31, were arrested in the original investigation, but released soon thereafter on $5,000 bond. No grand jury or trial was ever called. 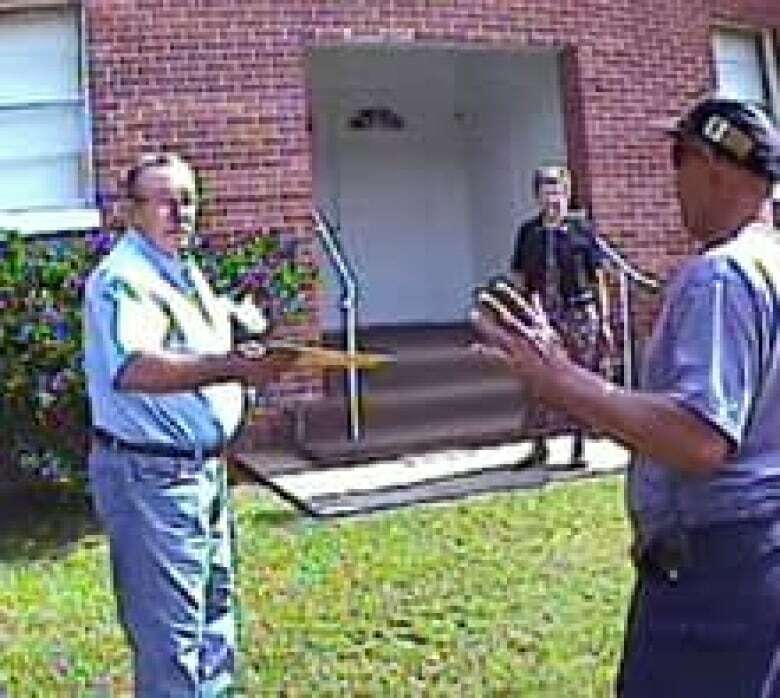 Thomas Moore, right, and Charles Edwards face off in 2006 outside a church in Meadville, Miss. ((David Ridgen/CBC))FBI documents allege Edwards admitted that he and Seale picked up Moore —who was on his way home after being expelled from Alcorn A&M University for taking part in a student protest — and Dee, who worked at a lumberyard. According to the documents, Edwardssaid he and Seale took the two men to a wooded area where they were whipped with beanpoles and interrogated.Edwards insisted that when he left, the two men were still alive. He later denied making the statement. None of the allegations have been proven in court. The FBI turned over Edwards's statement and other files on the investigation to local authorities, only for a justice of the peace to dismiss all charges. The case remained in limbo until Ridgen and Thomas Moore travelled to Mississippi in early July 2005. Ridgen discovered the story in the expansive CBC archives while preparing for another documentary he was shooting in Mississippi. While looking at Summer in Mississippi, a 1964 CBC film by Beryl Fox, Ridgen was struck by a segment that talked about a body found in the Mississippi River during the search for the civil rights workers. Ridgen searched for more than 10 months to locate Moore, whonow livesin Colorado Springs, Colo.Moore, a 63-year-old Vietnam veteran born on the Fourth of July,had been struggling for years to come to terms with the lack of justice in his brother's case. Their first trip proved very eventful. During arandom stop at a Roxie gas station, Moore lamented to a local man that one of the prime suspects in his brother's death had died. When Moore mentioned Seale's name, the man informed him Seale was alive and offered to show Moore where he lived nearby. After visitingDunn Lampton, the U.S. attorney for southern Mississippi, Ridgen and Moore were assured that a new look at the case would be initiated. Ridgen and Moore became close friendsduring filming of the documentary, which is still in production. "Even as we speak, we're still showing things down here," Moore said. Moore and Ridgen, along with Lampton, who has led the investigation in Mississippi, were travelling to Washington for a news conference as early as Thursday with Attorney General Alberto Gonzales and FBI Director Robert Mueller.